More than 500 participants at this year’s New York Forum® engaged in intensive discussions, workshops and taskforces. Together, they helped craft potential solutions to some of the many pressing issues faced by the global economy today. 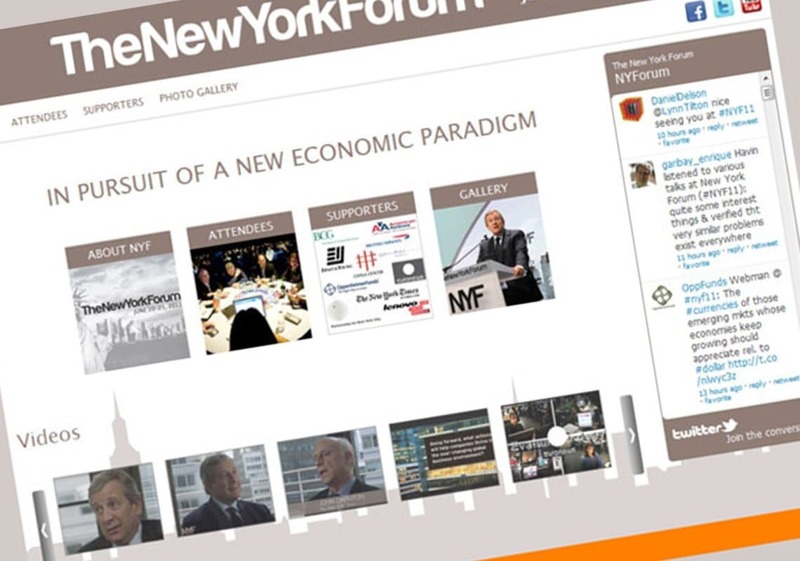 The New York Forum is an initiative of the NYF Institute. The theme of the 2011 Forum was “Committed to Growth”. It looked at the role of entrepreneurship in driving economic change, examined the complicated relationship between business and government, highlighted the perspectives that a new generation of leaders are bringing to the business world, and shed light on the dynamics of China today. 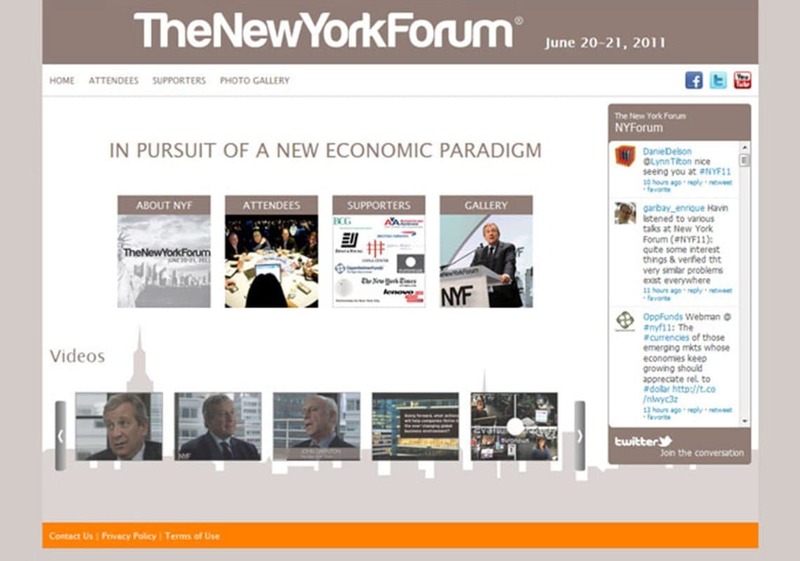 Actionable ideas that emerged from The New York Forum® will be presented at the G-20 Summit in November 2011. NYF 2011 featured talented speakers including Thomas Friedman; Edmund Phelps, Nobel Prize in Economics, 2006; James Turley, Chairman and CEO, Ernst & Young; Tom Glocer, CEO, Thomson Reuters; Feng Lun, CEO and Chairman, Beijing Vantone Real Estate Co.; Klaus Kleinfeld, Chairman and CEO, Alcoa; Dennis Crowley, CEO, Foursquare; Fred Wilson, Partner, Union Square Ventures; Lynn Tilton, CEO, Patriarch Partners; Nduka Obaigbena, Publisher, Thisday Newspapers; Mike McCallister, Chairman and CEO, Humana, and many other decision makers and thought leaders. The NYF 2011 notable partners this year included The New York Times, the Partnership for New York City, Ernst & Young, The China Center, the Boston Consulting Group, The Center on Capitalism and Society, Lenovo, OppenheimerFunds and Euronews.